Many people don’t know the legal difference between a DUI and a DWI offense, and this creates all sorts of problems. From permanently losing your driver’s license to ending up in jail, you may face severe consequences that will result in the worst possible outcome if you don’t know a good DUI/DWI lawyer in Annapolis. Luckily for you, we have over 30 years of experience when it comes to the traffic and criminal law in Maryland, and we have specialised in helping our clients deal with this sort of issues. 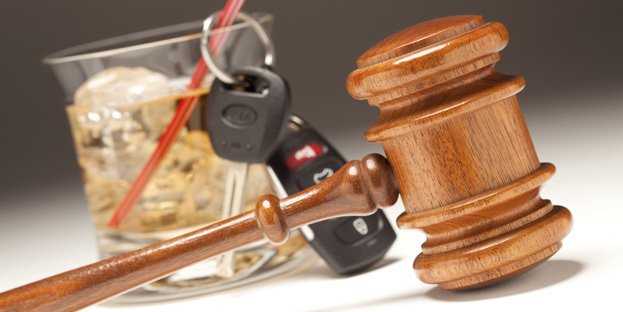 In case you are facing a DUI or DWI charge, call us immediately. Most people panic in these situations, but all you need to do is follow some simple rules and call us, the best DUI/DWI attorneys in Maryland. Driving under the influence (DUI) and driving while intoxicated (DWI) are two different offences that have difference consequences, but you could be charged with both of them if you have been drinking and driving. This happens because the Maryland law requires each of these offences to be charged separately in case one of them fails to get a conviction. When the blood alcohol concentration (BAC) is .08 or higher, you are facing a DUI charge, while a DWI occurs when the BAC is above .07, but below .08. Unlike in many other states, in Maryland, a DUI is punished more harshly than a DWI. For a first-time DUI offence, you could end up spending one year in jail or paying a $1000 fine, as well as having your license suspended for 6 months. A second-time offence will double your fine or the amount of time spent in jail. Moreover, if it occurred within five years of the first offence, your license could be suspended for one year. A first-time DWI offence can result in 60 days in jail or a $500 fine, as well as a license suspension of 6 months. An alcohol or drug related offense in Annapolis, MD, can have severe consequences. If you have been pulled over by a police officer and asked to undergo a series of field sobriety tests, you should know that it is your right to refuse. Moreover, you should not accept it because a field sobriety test is proved to be extremely inaccurate. If the officer decides that you have failed this test, even is this decision is based solely on his or her subjective opinion, you will be arrested, and you will need to submit to urine, blood or breathalyser analysis at the police station. It is not your legal obligation to submit to the field sobriety test, so there is no legal consequence if you refuse. However, if you have accepted to take the test and failed it, you could face severe consequences. You should immediately call us and get help with your case. There are many options we have and, depending on each situation, we can offer valuable input that can minimize the impact this offence has on the quality of your life. Drinking and driving is bad for you, but, sometimes, extraordinary situations happen. As we understand this very well, we are prepared to fight for you and make sure that one bad judgement call doesn’t ruin your life. Our work ethics and experience make us the best DUI/DWI lawyers in Annapolis. You need us by your side if you want to get past this unfortunate event and go on with your life. Call us and let us design the strategy of your defence. Don’t loose any time and give us a call at (443) 569-3950 for a free, no-obligation consultation from our excellent DUI/DWI lawyers.